Oregon credit union cites growth in electronic channels in decision to shutter two more facilities, second and third this year. This branch in Newberg, Ore., is scheduled to be closed on Nov. 9. 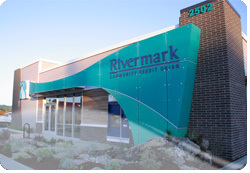 The $556 million Rivermark Community Credit Union in Beaverton, Ore., said this week that it plans to close two of its eight branches this fall, a move it pins on increased use of remote channels.